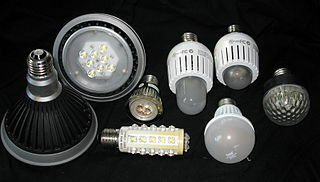 Today I have bought some led bulbs for my house, I have needed some time really to check the different connectors and chose the correct letters and numbers but finally I hope to have bought the correct ones by internet. At home we changed most of our incandescent bulbs many years ago by fluorescent ones, except some that due to the connector were impossible to find. And some fluorescent bulbs were deceptive because they did not last long but many other are long-lasting and I do not intend to change them before they die out. I got even happier after the estimation. I was surprised by the difference because hour energy consumption per month is not more than 150 KWh and we are more or less in the second stage. But was it economical? I am convinced so, even more, if not something would be really wrong in our economy. The nice thing is that this shows we have the technology to reduce our energy consumption and emissions in just a click of the mouse, efficiency is possible and will be the most important source of energy in the first world if everything goes right because it is needed and not so difficult in some cases. By the way, I still have a lot of bulbs to change in the future to reduce my emissions.